This morning at Walt Disney World, the planet name for the highly anticipated Star Wars: Galaxy’s Edge was announced. The information was given along with details about the updated Star Tours attraction, so be warned: spoilers ahead. At the end of the updated Star Tours attraction, the starspeeder lands on the planet of Batuu, which looks just like the concept art for Star Wars: Galaxy’s Edge. C-3P0 says tells guests, “Looks like there are more adventures to come.” These changes, along with appearances from Kylo Ren and Poe Dameron, begin today, Friday, November 17. In addition, we’ll likely see more of Batuu during the “Galactic Destinations” projection show on the Tower of Terror during Star Wars: Galactic Nights, which takes place on December 16. 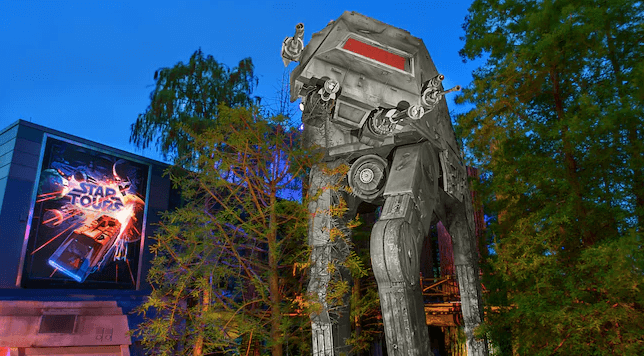 Earlier this year, the model for Star Wars: Galaxy’s Edge was placed on display at Walt Disney Presents, the former location of One Man’s Dream, at Disney’s Hollywood Studios. Take a look at the amazing model in our video below. 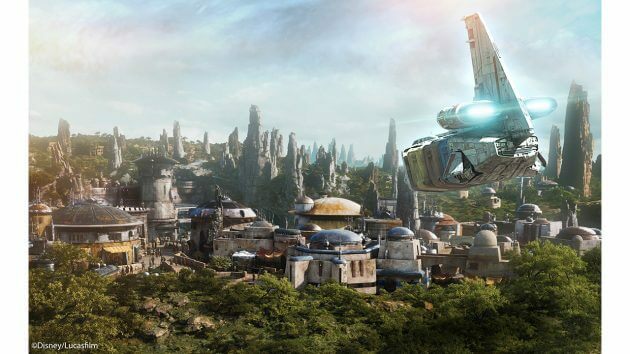 “Star Wars: Galaxy’s Edge” opens at Disney’s Hollywood Studios in 2019.